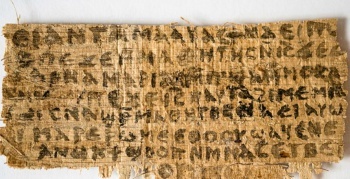 The ancient papyrus called "Gospel of Jesus' Wife" where Jesus is talking about his wife, has no evidence of forgery according to a report published in the Harvard Theological Review. New scientific tests conducted by multiple teams of scientists from Harvard University, Columbia University and the Massachusetts Institute of Technology, have revealed that there is no evidence of forgery in a text written on an ancient papyrus where it refers to Jesus as having a wife. The papyrus, which is called the Gospel of Jesus' Wife, since it contains phrases that point to Jesus talking about his wife, has been deemed by the Vatican to be a fake back when it was unearthed 18 months ago. The results of a carbon dating exam places the papyrus to eight-century Egypt, which is about 400 years later than what Professor of Divinity at Harvard University, Karen L. King, originally thought it to be. Other tests found the ink's chemical composition used in the papyrus consistent with carbon-based ink used by ancient Egyptians. Furthermore, microscopic imaging reveals no traces of "ink pooling" that critics thought they saw in lower-resolution photos of the fragment, which, if evident, could be proof that the ink was applied in modern times. However, King states in the study that the Coptic papyrus is not proof that Jesus was married and had a wife, but discussion on whether women can be disciples of Jesus. 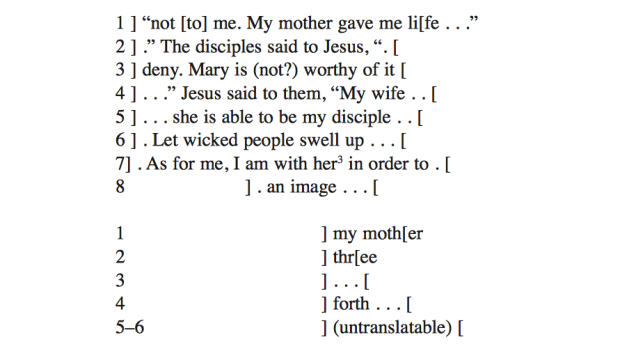 The fragment does not provide evidence that the historical Jesus was married but concerns an early Christian debate over whether women who are wives and mothers can be disciples of Jesus. Speaking to The Boston Globe, King hopes that talk regarding forgery can finally be put to rest and instead be focused on the papyrus fragment's -- which is roughly the size of a business card -- impact on Christianity. The papyrus fragment's original carbon-dating test was conducted by the University of Arizona Accelerator Mass Spectrometry Laboratory and pegged its date of 400 to 200 years before the birth of Jesus. But researchers have come to the conclusion that the result might be unreliable due to the sample size being too small. The second carbon-dating test was conducted by Noreen Tuross of Harvard and produced a mean date of 741 A.D.
Could Jesus really have been married? More importantly, does it really matter and what does it change in regards to Christianity?